The Off Price Show is here! 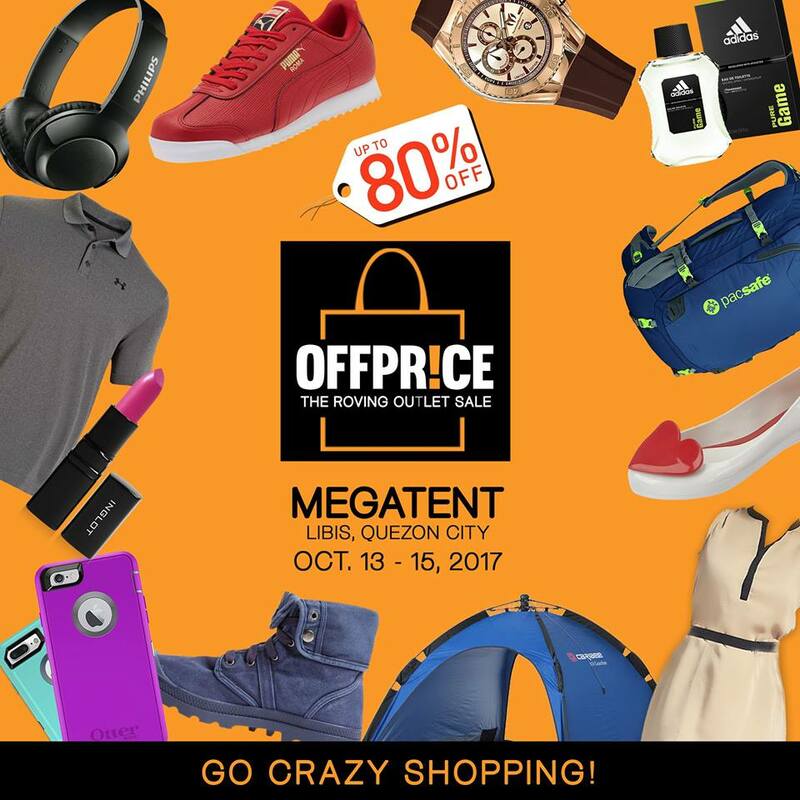 Go crazy shopping up to 80% off at OFFPRICE at The Megatent, Libis Q.C on October 13 - 15, 2017 (Fri to Sun) from 11am to 10pm! 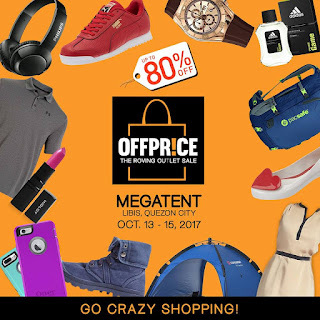 Get premium lifestyle brands like PUMA, Mzero, Inglot Cosmetics, Daniel Wellington, Pochi, Lander, MEL Shoes, Euroo, Hellolulu, Motorola, Hangten, Melissa, Mojo Bags, White Rain, Adidas Bodycare, Lifeproof, Under Armour, Feiyue, Renuzit, Spotlight, Goalzero, Brit London, Conwood, Tasmania, UROPA, Watershot, National Geographic Backpack, Parker, Philips Gadgets, Targus, Caribee, Drifter, Audio Technica, YOT, Ecorox, Technomarine, Bicycle, Simplicite, Otterbox, Pin High, Babolat, Beauty So Clean, ShockDoctor, Palladium, Victorinox, Pacsafe, Steelcraft, ACER, Gap, F21, Old Navy and many more!